The new president of the P.E.I. NDP says she has two immediate priorities on her to-do list: helping her party's candidate campaign in the upcoming byelection and then reconnecting with members across the province. Future byelection is first priority, next is hearing directly from NDP members from across P.E.I. "We had a bit of a downfall in our communication in the past couple years because a couple of the executive weren't able to continue on with their positions," said Leah-Jane Hayward, who was acclaimed as president during party elections over the weekend. "It made a little bit of a lag in our communications." Hayward has been involved with the party for many years. 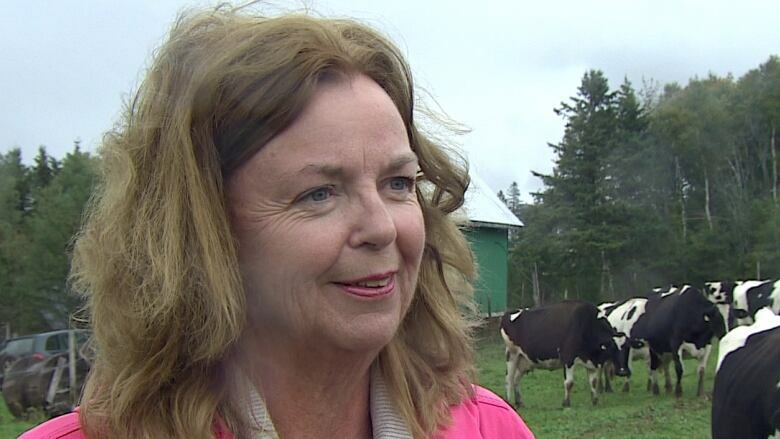 She ran against PC MLA Brad Trivers in Rustico-Emerald in the provincial election in 2015 and then against her neighbour, Malpeque MP Wayne Easter, in the 2015 federal election. Though Hayward didn't end up with a provincial or federal seat, she says the experience she's learned over the years is going to help the provincial New Democrats. "I think I have the time for it, I also have a love for the party and I just want to help out as much as I can," she said. The future byelection is her immediate focus, helping NDP Leader Mike Redmond campaign for the District 11 Charlottetown-Parkdale seat. She said three other candidates were interested in running in District 11, but the decision was made to go with Redmond because there wasn't enough time for the other three to get in a postion to run. "You have to basically take a leave of absence from your job in order to be a candidate," she said. "For a person just to take a leave on such short notice, there's just financial constraints on it, that's the main thing, it's just really difficult for many people to become candidates." After the byelection, she wants to get working on re-establishing a connection to NDP members across the province. "That's the number one priority … to hear the concerns of the membership and they can add to any direction that we're going."